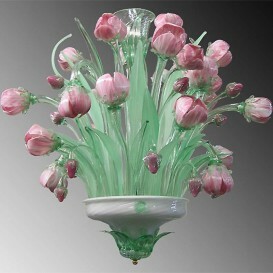 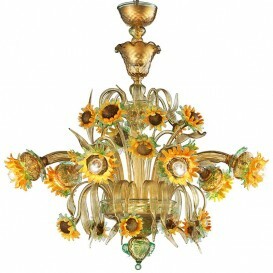 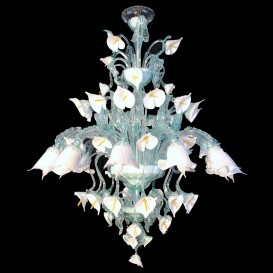 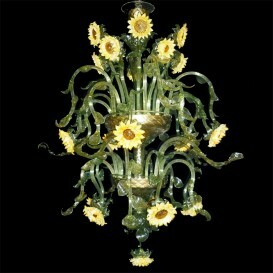 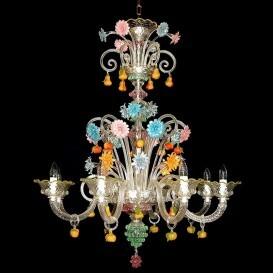 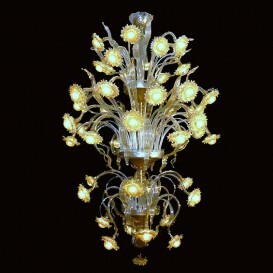 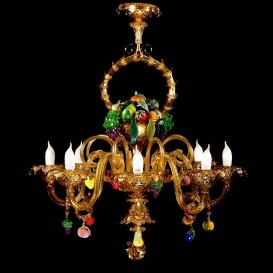 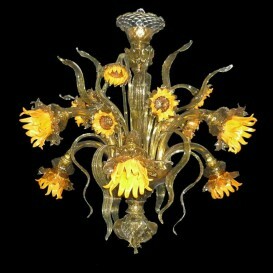 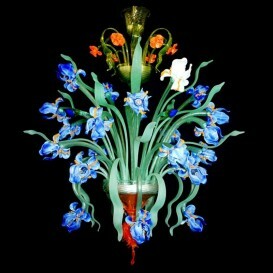 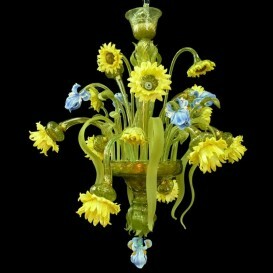 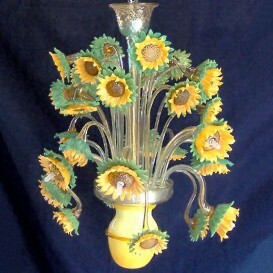 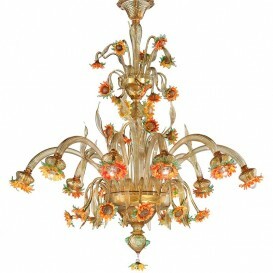 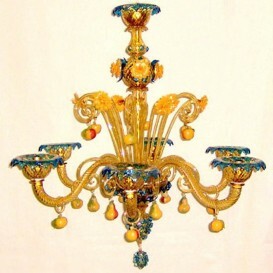 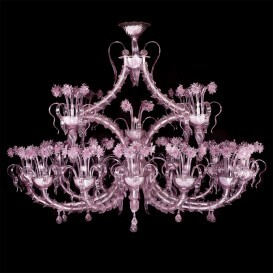 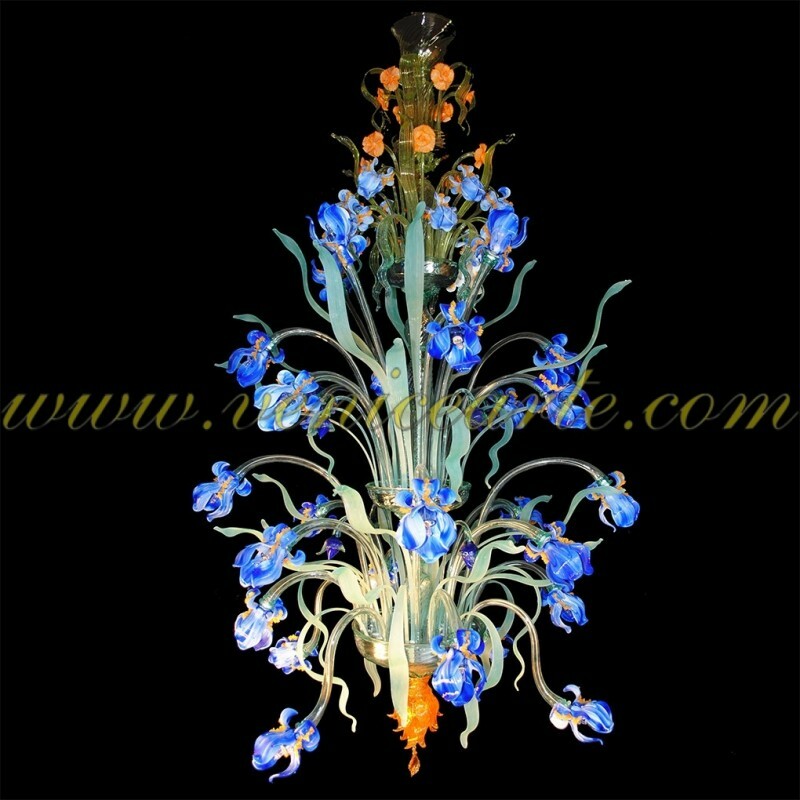 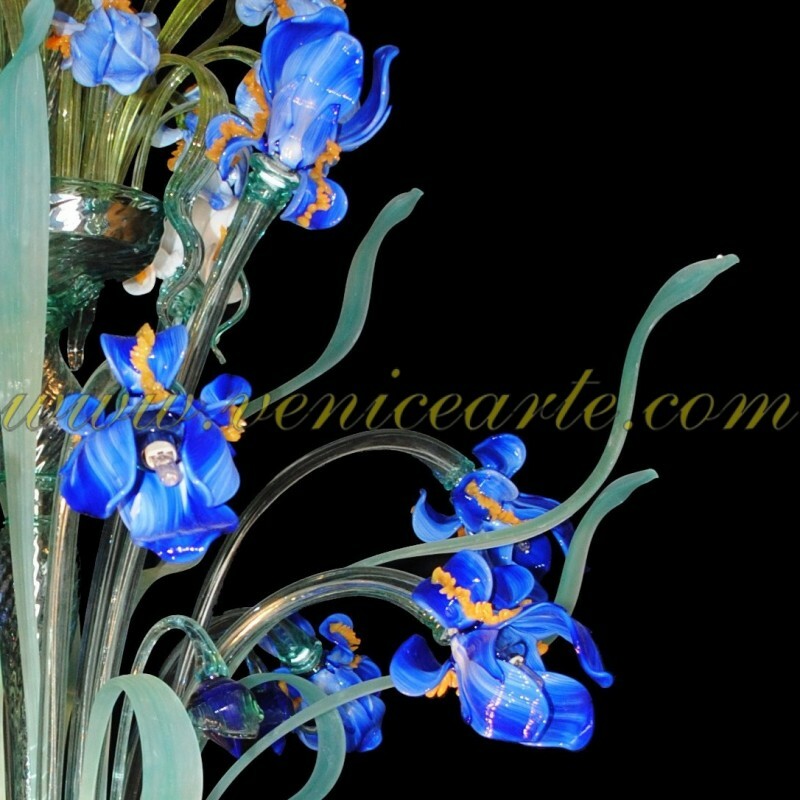 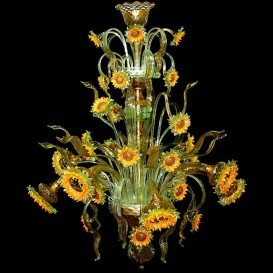 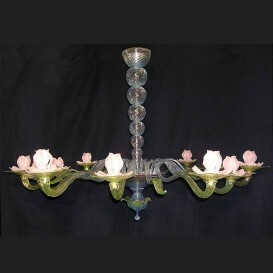 Amazing Murano glass chandelier that is beyond imagination with its lush floral shape and design style free. 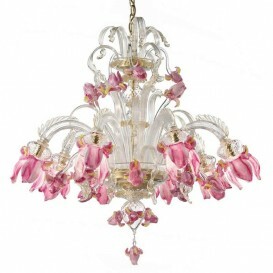 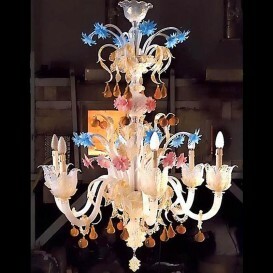 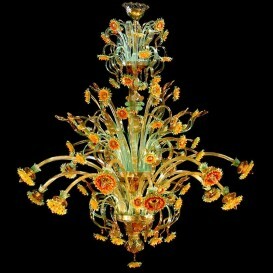 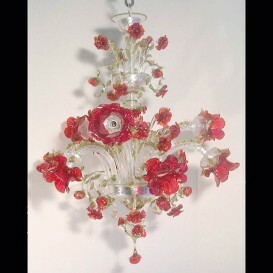 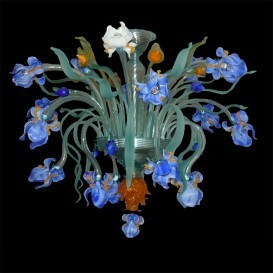 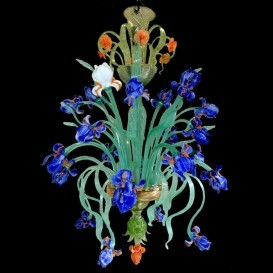 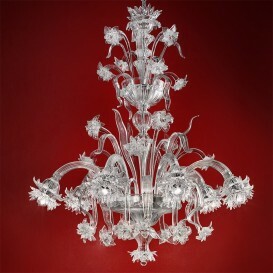 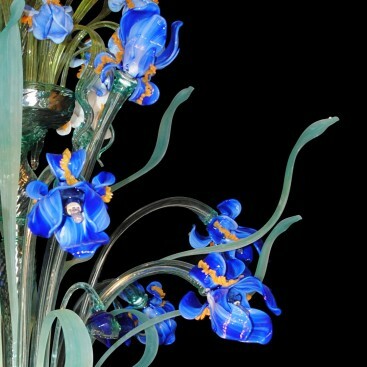 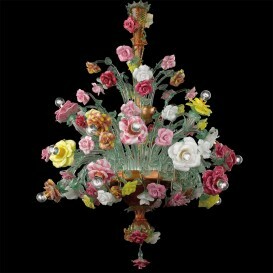 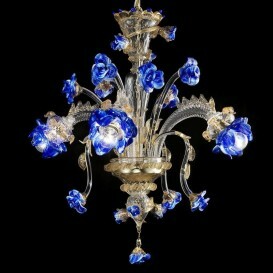 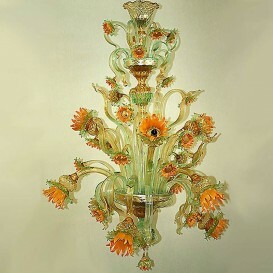 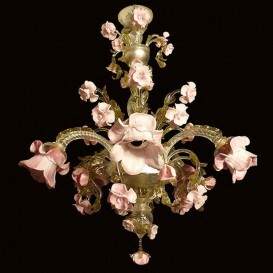 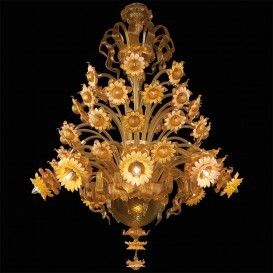 There are many Murano chandeliers with flower shapes, but this particular one is more than just a floral chandelier. 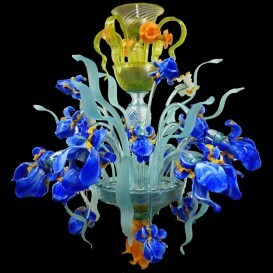 It illustrated a highly new and innovative approach to color and design. 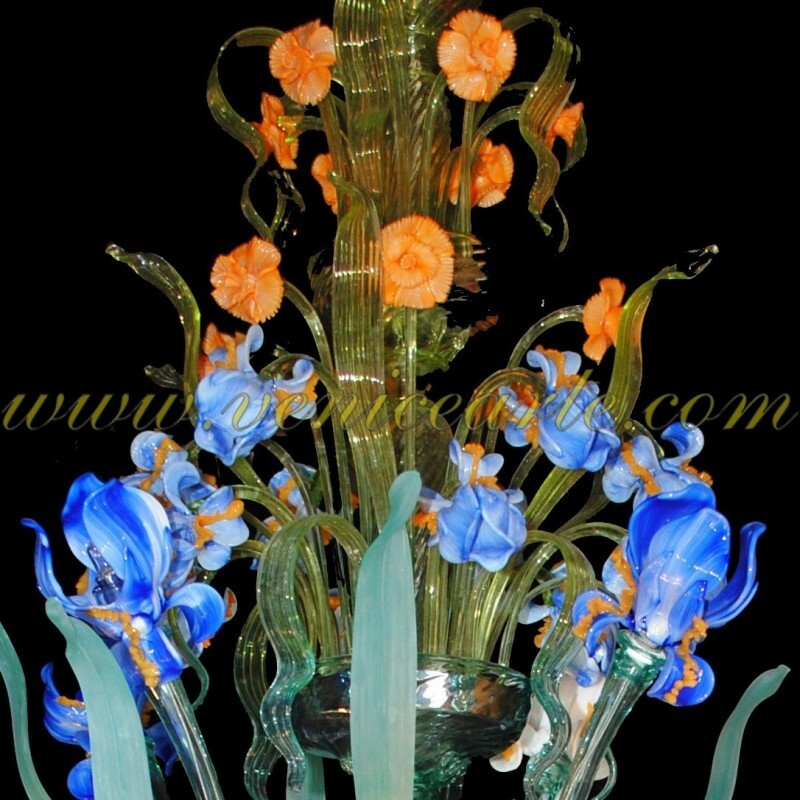 The strong powerful colors are meant to enhance the free arrangement of the flowers. 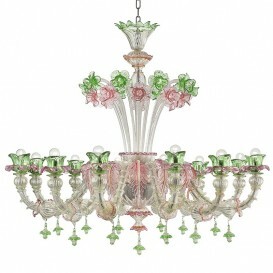 Made by excellent craftsmen this Murano glass chandelier is perfect for large rooms and dinning areas.